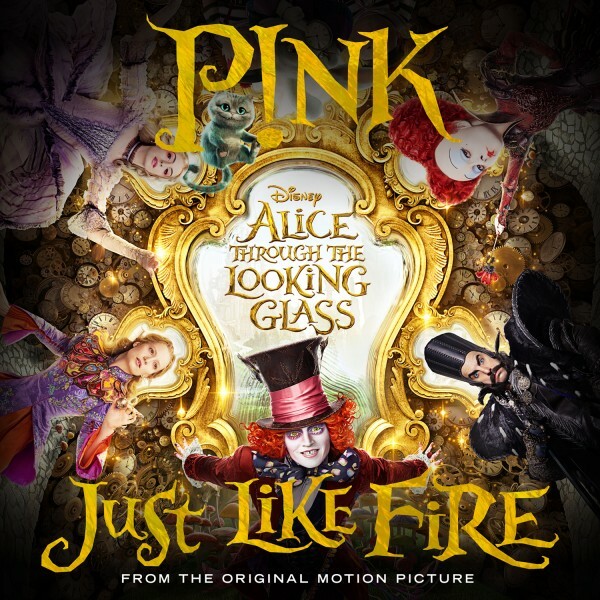 American pop artist Pink is set to release “Just like fire”, her first single in three years. The track, which was co-written by Pink, Max Martin, Shellback, and Oscar Holter, will appear in the “Alice through the looking glass” motion picture soundtrack from Walt Disney Records featuring score from four-time Academy Award nominee, Danny Elfman. “Alice through the looking glass” is the follow-up to 2012’s “Alice in wonderland” remake. It opens in U.S. theaters on May 27, 2016 and the cast includes the likes of Johnny Depp, Anne Hathaway, Matt Lucas, Helena Bonham Carter and Sascha Baron Cohen. A music video for “Just like fire”, directed by Dave Meyers, will debut next month.